The little girl in the photograph I’m holding in my hand is my mother at two years old (circa 1908). I can’t show you the picture because it’s an antique and in a frame, and too fragile to remove to scan. In the photograph, my mother’s blonde hair is cropped short. She stands in a white lace dress in front of three women: her mother, her mother’s mother, and her mother’s-mother’s mother. This third woman in the photo is my great-great grandmother, a full-blooded Native American. Iroquois or Apache is our best guess based on the few pieces of information discovered about her by my cousin Marty, the genealogist in the family, and based mainly on geography (Arizona and Pennsylvania). And this is information recently uncovered because for most of my life, no one in the family ever talked about this woman. In those early days of American history (say, mid-1800’s), it was not quite acceptable for American men to marry Native Americans, who were viewed closer to savage wild animals than to the human species. And today, that’s funny because I recently read an article that made light of the fact that many Americans, especially movie stars and ex-presidents, now claim to have Indian blood, when they actually do not. Click here to check it out. We don’t know much about the man in our family who married this woman. But my guess is that he was a bit of a Badfish. It seems odd, almost silly, now, that my family would hide the fact for all those years, and hide the photograph that intimates that my ancestral bloodline traverses a tributary that trickles into a Native American gene pool. Maybe that’s why I’m drawn to a nomadic lifestyle, women with brown toes, motorhomes, pemmican, knives, and Bedouin tribal carpets. And perhaps at first blush, seemingly out of character—ice cream. 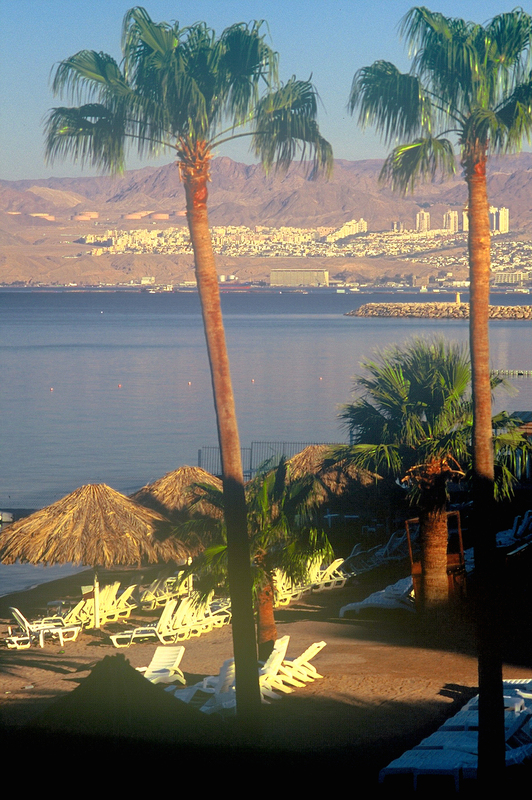 On one of my extended sojourns maybe 20 years ago, I washed up on the shores of the Red Sea in Aqaba, Jordan. I met a man named Haroun who owned an antique shop. He sold everything from brass water pipes to iron-age coins. I bought a hand-woven tribal kilim from him. This type of carpet—thin, tightly woven and meters long—is still used today as flooring over sand in Bedouin tents in places like Jordan, where some people still live in tents and weave carpets on looms they carry with them. Now, this is cool: these rugs are woven and designed very much like the carpets you might have found in a teepee or being sold today on, say, a Navajo tribal reservation. Even more interesting is how similar the designs are between the ancient nomad carpets and the Native American carpets. It’s not really surprising, though, once you realize that those first Native Americans were previously native to someplace else—Native Asians, Native Middle-easterners, Native Africans—before they crossed the Bering Strait on the land bridge that once allowed early nomads to follow wooly mammoths onto new pastures in North America, maybe something like 11,000 years before anyone would call it North America. When we hear “land bridge,” we might think of a narrow strip of land between Russia and Alaska. But geologists say it was huge, say the size of Texas (maybe 1,000 miles [1600 km] wide), and easy for roaming animals and humans to wander along. They also say it was a lush grazing land. But get this: researchers have also found links in language between some Native American tribes and a small tribe in Siberia. This actually should come as no surprise to anyone familiar with the National Geographic Genome Project, which traces human DNA out of Africa to everywhere else in the world. So, apparently, those acid-dropping hippie freaks in the ‘70’s and their gurus who were chanting “we are all one, we are all the same” were, quite literally, right. 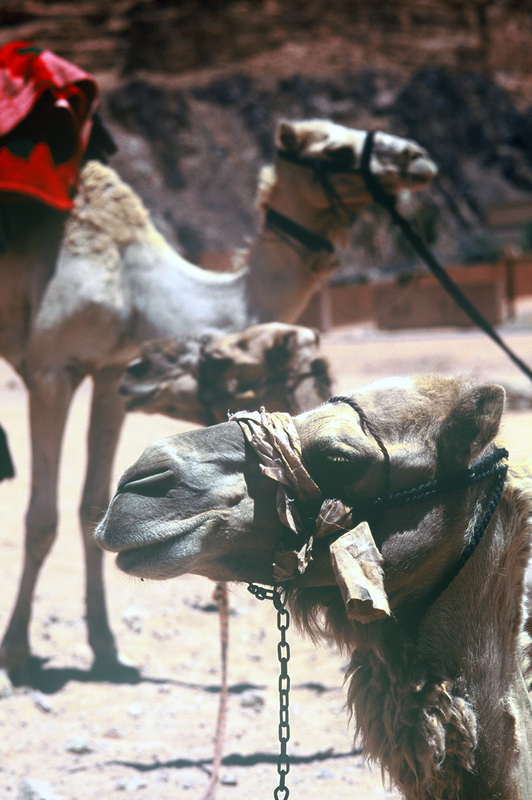 Recently during a sweltering summer, I traveled again to Jordan with one of my favorite travel buddies, Lisa. We rented a truly unreliable car from Reliable Rent-A-Car, and drove down the King’s Highway from Madaba near the place where Moses died; to Petra where Moses’ brother Aaron died; through Wadi Rum, where a slew of Canaanites died; and on into Aqaba, where Lawrence of Arabia, a slew of WW1 Turks, and our unreliable Reliable rental car all died. While we French-fried our skin and waited delivery of another rental car to arrive from Madaba, we shuffled around the fairly desolate, yet touristy-for-locals, town of Aqaba. You can stand on the beach overlooking the Gulf of Aqaba and see three countries from here: Jordan, Egypt, and Occupied Palestine (also called Israel, but not by anyone in this part of the world). The Arabian tectonic plate shifting against the Eurasian plate is literally ripping the land apart here, creating the Red Sea, the Gulf of Aqaba, the Gulf of Suez, as well as the Persian Gulf (now for some reason called the Arabian Gulf). And some people believe this tectonic action may have created a quake, which caused a tsunami that swallowed those pesky Egyptians who were chasing Moses and his tribe on their exodus out of Egypt. Luck, good and bad, has always been linked to timing. 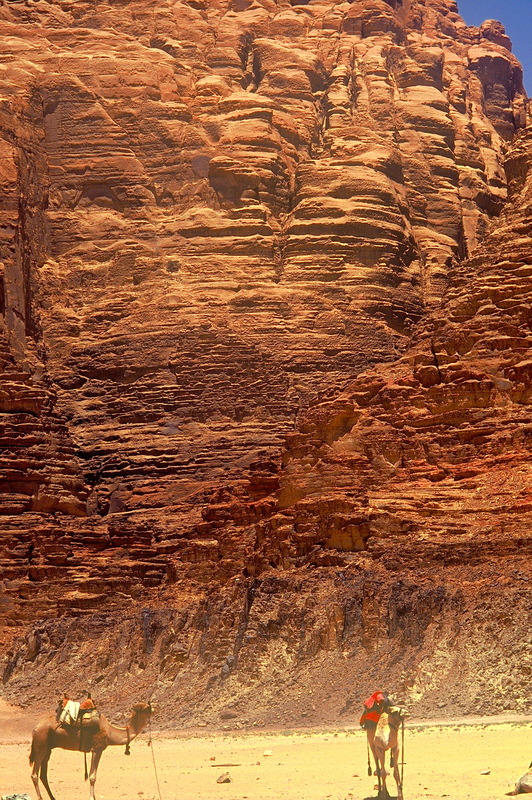 If you ever passed through Moab or Marrakech or Death Valley or Alice Springs during summer, you might have an idea how hot Aqaba gets in July. Beads of sweat drip through your eyebrows. Clothes cling, as though you showered in them. You find yourself pursuing thin columns of shade from tilting date palms. Because we both already had collections, neither Lisa nor I desired to purchase another Bedouin clay water jar or tribal carpet, but we decided to discover if Haroun was still there in his antique shop. And he was. Amazingly after twenty years, I walked right to it—granted, the town’s not that big. The shop now, however, is located right around the corner from the new ice cream parlor. Sometimes, you might feel like thanking someone for the concept of globalization. Somebody is doing something right in the world when you can buy three scoops of chocolate ice cream in the middle of the (not-quite) empty quarter of desert. 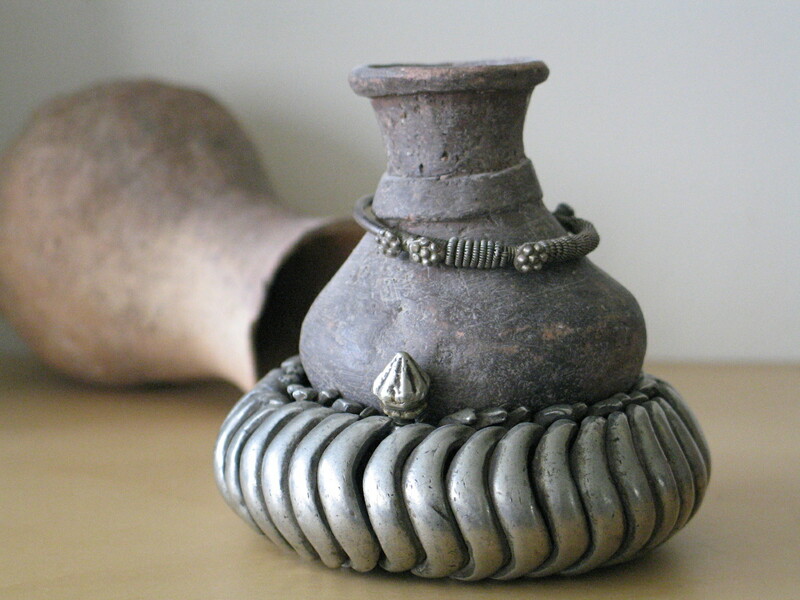 In the loft of Haroun’s shop, we noticed several asymmetric, miniature clay bottles, obviously hand-formed, and unglazed. Haroun informed us they were used for perfume; an “excavator” he knew had “dug them up” from some ancient site, Jerash or Jericho perhaps. 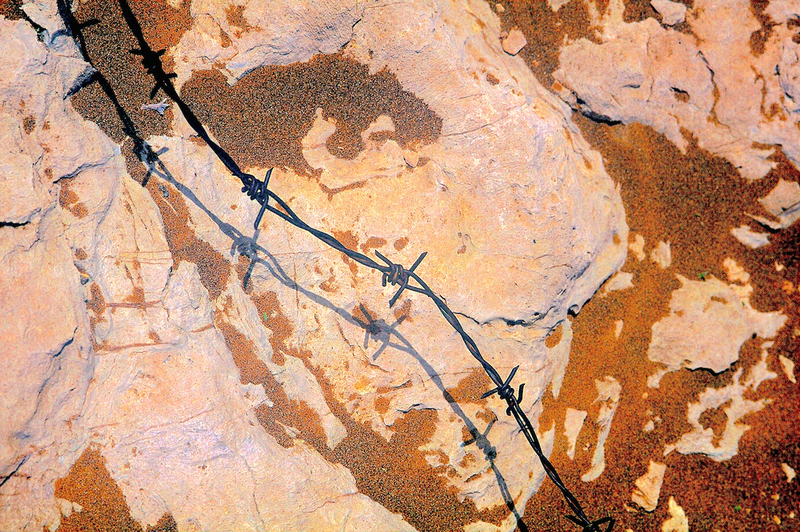 They were slightly chipped, and partially obscured under an adamantine patina of dirt. Haroun said they were possibly a thousand years old. We figured maybe a hundred years—but more likely ten, and knockoffs baked in a microwave. Yet, we loved them, their sensual yet atavistic look and feel. So we bought them. Not cheap. If we tell the story right, we figured, and display them under showcase lights (maybe frame the receipt), who’s going to question authenticity? While we negotiated the purchase of the perfume bottles, we sat on a Bedouin rug, which contained the same warp-based stripe, colors (burgundy, almost-black blue, ecru), and loop-end cabled fringe as the carpet I had purchased from Haroun two decades earlier (same tribe, perhaps), but this rug was longer, 15 feet, 4.5 meters (made for a much larger tent). “No,” I kept thinking. No. Not one more rug. Besides, it’s in terrible shape: torn, frayed, and bleeding burgundy dye—no one would confuse this rug with museum quality. Haroun intuited my interest (apparently, camel traders and carpet dealers possess a harrowing sixth sense). When purchasing anything in this part of the world, bartering is de rigueur. But Haroun didn’t even begin negotiations. He simply started folding the carpet and barked in his brusque Arabic accent, “you take, you take.” I raised both hands and motioned for him to stop. “You take, you take,” he chanted. 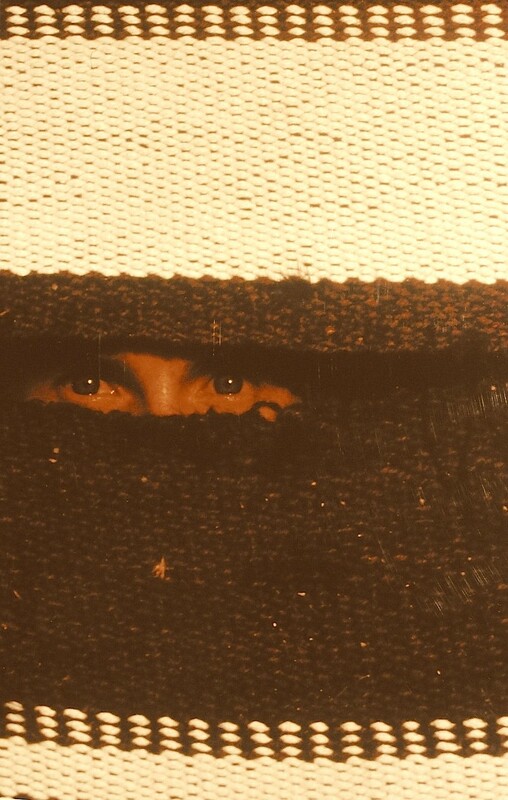 He creased the rug into a supremely small bundle for such an extravagant swath of homespun wool (well, they were made for transport in leather bags on the back of a camel). Haroun wrapped the kilim in rough, yellowing paper, tied it with frayed cotton yarn, charged me next to nothing—something like 14 Jordanian dinars, about 20 US dollars. Maybe because of his profit on the perfume bottles is what I’m thinking. The carpet flew home with me in my carry-on bag. It now lives in my hall as a runner. I stroll over it every day, and I almost crave its raw texture on the bottom of my bare feet—perhaps an inherited Iroquois memory? Sometimes, I fold the rug into a low seat and eat three scoops of Häagen–Dazs, and imagine I can speak the native tongue of my ancestors…whose own ancient ancestors, millennia before, invented both carpet weaving and ice cream, somewhere in Siberia. Do you have a story of ancestors, or negotiating a purchase? Paying too much? Or icecream? 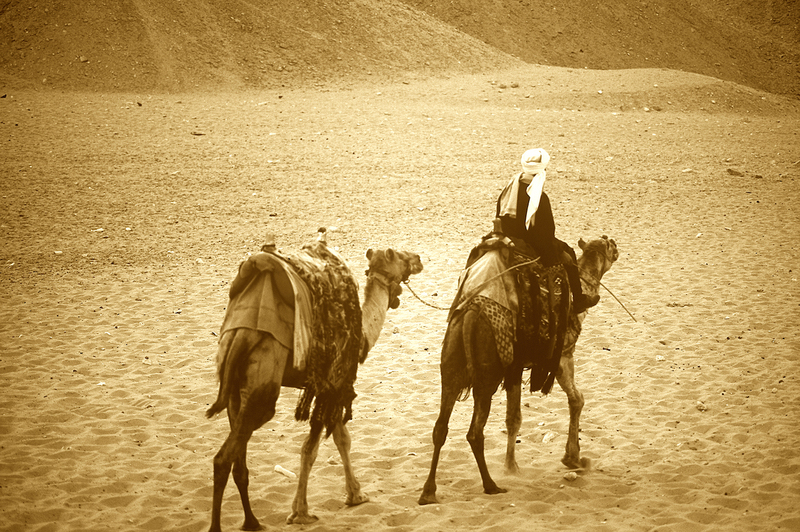 Your pictures and commentary brought back so many memories of the Bedouins and the desert … and that weird smell of a Bedouin camp. Camels. That intense, blinding sun into which only westerners are dumb enough to go. Beautiful! Marilyn, Glad I could touch a part of your memory. And you are right, that sun is intense. What did we do before sunglasses? I love the Bedouin coffee, straight off the fire…and strong. Love it! I am living vicariously through you, imagining all those places. – Nice photos though I missed the one of you holding your mom’s picture. I’m not surprised you had that many generations in one photo. Before Dad passed we were able to get a five generation picture with my great grandson. Bartering experience. Wasn’t your first one with me in Mexico many moons ago? I remember you prodding me to dicker in Spanish, it was my first time as well. I remember them telling me I had a funny accent. I realized later that I may have had a southern drawl in there somewhere. Thanks so much for visiting, Jo. Glad I can whisk you away to far corners. My first experience of bartering was Mexico…but Tijuana. Speaking Spanish with an Alabama drawl…now that’s something everyone should experience! Ahh thanks I really enjoyed this, it brings back memories of Marrakech, Cappadocia and Jaisalmer, all places where I’ve bartered for things I fell for but really didn’t need! Cool!! But you know, I really don’t like the concept of bartering. I have had to get good at it because if you don’t, you pay two or three times what they really want for the item. And right…I don’t “need” most of the things I have bought in foreign lands (or anywhere!). Pleased to learn of your ancestry. “I want ice cream!” It’s good to eat anytime, especially as a comfy treat at work. As Bill Cosby used to say: I scream. You scream. We all scream, for ice cream. How does one get through a day without it is all I’m saying. And thanks for the reblog (AGAIN! ), now I’ve been reblogged twice. And yeah…it’s a funny thing, ancestry, you love it and hate it, I guess like everything else. One of the things I love about your photo and words (which is sort of like words and music, which go together – if you saw Eddie & The Cruisers), which SO go together. Not saying at all that a photograph on its own can’t bring its own amazing beauty, and your, in particular, do just that. But to then ‘hear’ your voice, adds a magic touch which transports me to where ever you lead us. I’m right there in the eye-brow dripping, clothes sticking heat (which these days sounds delicious). I’ve been geography oriented (unbeknownst to me before 18 years ago, on a conscious level), mostly here for this land, but history I didn’t do much in the way of paying attention in school. So, I gobble up your telling of how and why and the way things are in the places you talk about. Now that’s the kind of eating I do. My hunger for knowledge and learning outweighs that for food any day! I’ve known about the Bearing Strait, but not the depth to which you mention. I’ve know that the First People of this land came from places beyond this continent. But the detail, that is the precious information; perhaps the anthropologist in me. Your stories make me want to build a loom, and buy sheep, to be able to get wool, and spin, and weave and all of that. That’s the inner me. The me who dreams big dreams. I can imagine the picture of your mother, and her mother, and her mother’s mother, and her mother’s mother’s mother, and your great-great-grandmother! Generations. The words, or the names, to be specific: Madaba , Wadi Rum, Aqaba, Moab, Marrakech. They’re like exotic flavors, each pleasant to say, musical in the way only words can be. It’s all like curling up with a good book. OK, it is now official. Someone has to start keeping a record of your comments, and turn them into a book! I love how you so love things. And turn them into bigger, deeper things to love. I just love this line in your comment: “Your stories make me want to build a loom…” Love it. I keep a list of quotes I might use some day. I added that line to my list!! And yeah, as you can notice, I am not spending as much time as I would like on my blog, writing for it, or even commenting. Because I have to spend all my time deleting messages on my email! And other things, called life. Thanks for being here. There is an odd echo, my own voice. Why is it so quiet here? Why is there no post? Something is missing. Yes, it is Badfish Out Of Water! I will wait patiently that later today I will find something here. Otherwise, it’s cold turkey! Oh, but wait. There is a note. “gone fishing.” and something about “other things called life.” What could that mean? Is it a Koan? I will meditation while I wait. Incognito. Off the grid. Busy. It’s the sound of one hand clapping in the forest. Get some Wild Turkey for that cold turkey. I don’t drink. But perhaps I will listening to some music. Hoping your busy days are filled with good things. This has me even more psyched to go to Jordan in a few months! You’re going to Jordan? Cool. Glad you’re psyched. Can’t wait to hear your take. I loved it there, all the history, the other-worldly landscape, the people. Of course you’ll forgive my typos… right? I’m not really much on forgiveness, usually. But typos…OK, fine, no worries. It’s not like you have a proof-reader or secretary to edit your dang book you’re writing here. The opening image is stunning! Gosh, you have traveled and experienced a lot. The sandstrom looks amazing..
Indah, yeah, my friends say I have “traveled more than anyone has a right to travel.” I personally don’t think there is a limit on travel. And I know people who have traveled more than me. You are right up there, dude! I’m glad you like the sandstorm. I’m disappointed in these photos. They were taken from slides, and I don’t think they did a good job on transferring the images. 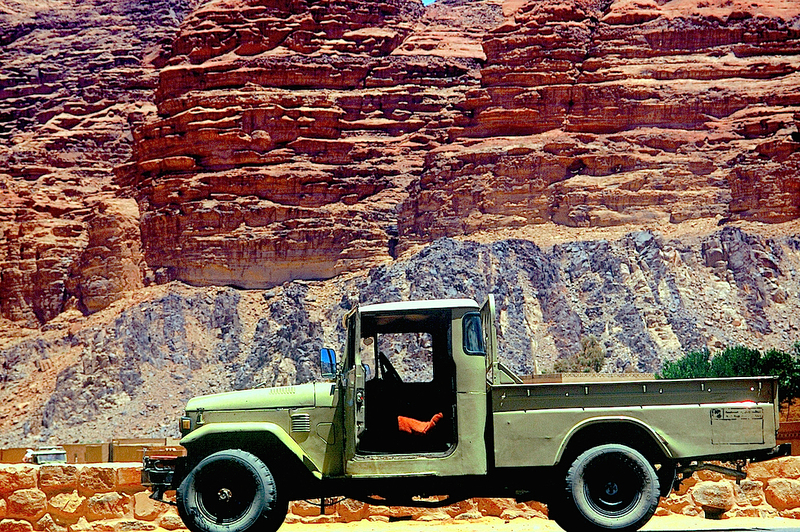 And…no photos of doors out there in that desert (well, we could count the door on the truck, maybe?). Wonderful story and pics, again, Badfish. the similiarities between Mongolian and Dine peoples – or Navao – languages is well documented. This branch of Algonquin language groups have even been traced as to how the ancient peoples came down from the north – various langauge groups in still existant vilages show the trail of language modification. When i was in Mongolia, I went to visit the Reindeer people, who do not live in gers like the rest of the nomadic reindeer people, they live in TEEPEES. very similiar to north american teepees. There was a native american man recently – sorry forget which people – probaby Navajo i guess – who visited Mongolia, and both the mongolians and this guy found so much similiarities between their cultures it was as if they were greeting a long lost brother! The bedoin stories, and the whole interweaving of your Mother’s photo, your Great-Great-Grandmothe’s story, is fascinating. Thank you Badfish, and thanks to your Iroquois Grandma who gave you – maybe – your nomadic genes. Now, for some inexplicable reason after reading this post I have this urge to complement by just-finished breakfast with some delicious Korean chocoate icecream that I bought yesterday……. Debbie, WOW!! I am so glad you told me this. Except now, I have to go do some research on it and maybe revise my story a little! I truly love the idea of how “man” came to inhabit the world, it’s so interesting…part of how we got to now sit on the top of the food chain. The Reindeer people…live in teepees…now that is something I want to know more about. With all the trees, it would have been easy for the first people to use poles as opposed to making yurts (and use less material, and easier to move, maybe. I am late! We’ve been busy hiking in near 40 Centigrade heat in Kakadu National Park, Northern Territory. I understand about the heat! This was a wonderful story to read. I was there with you and it only served to increase my desire to go to that part of the world. 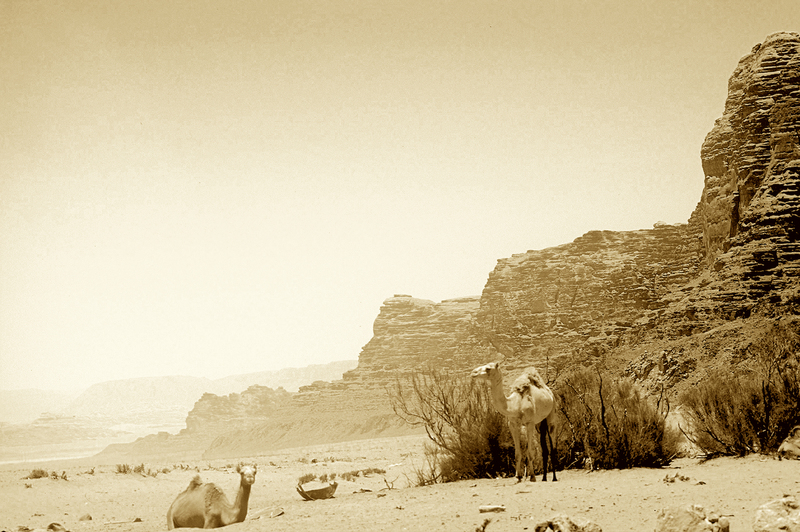 And stay in one of those Bedouin tents, and see Wadi Rum. I make you want to come back to Oz?! 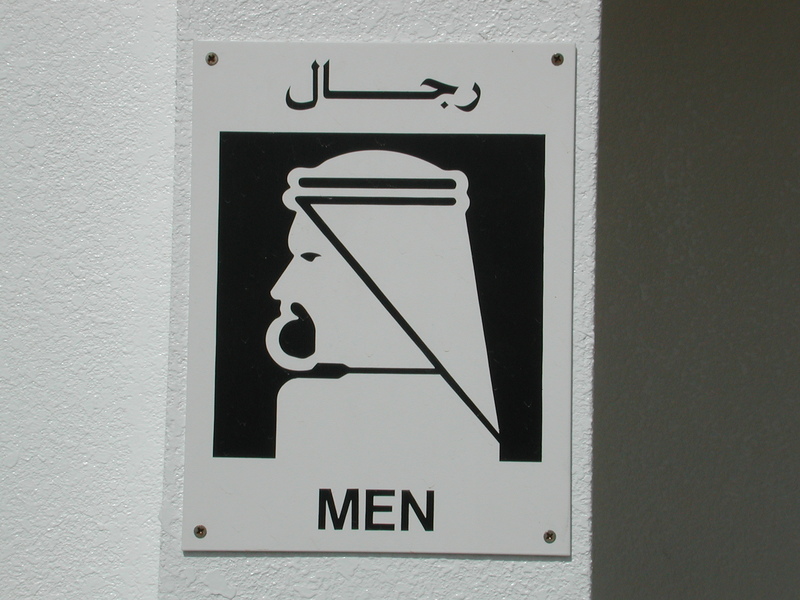 Well you make me want to go to the Middle East! Photo faves: the eyes through the carpet (magic! 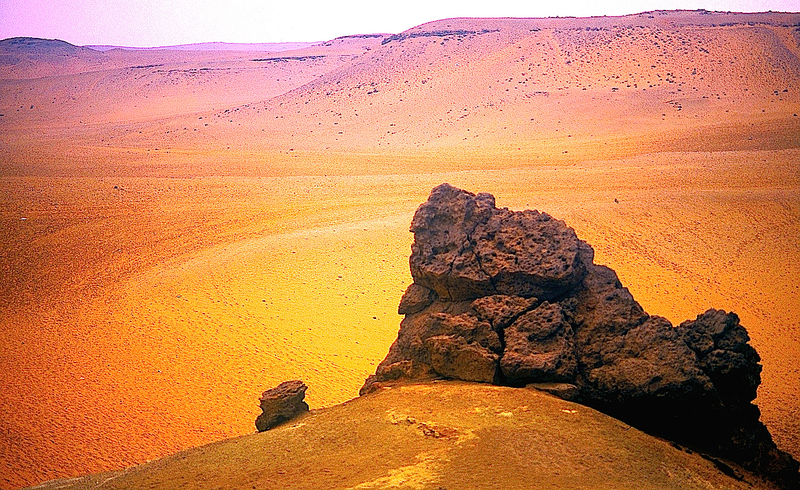 ), and the 2 brightly coloured desert pics. Late…you are. You aren’t even in the first three. Slipping, lady. I’m sure you will love Jordan if/when you get there. The history is interesting, of course, but there are so many different varieties of land that you don’t see elsewhere, all in a fairly compact-sized area. 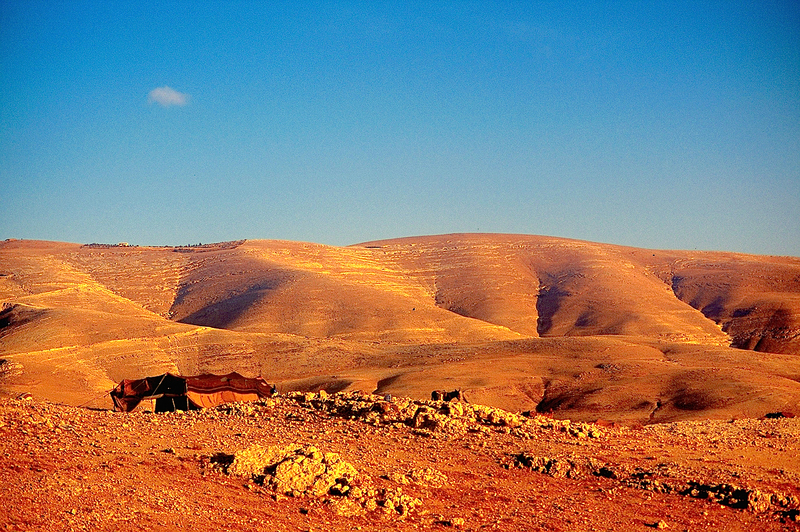 I still can easily see in my mind Aaron’s tomb sitting in the distance high atop the rugged, mountainous landscape. I’m fairly disappointed in these photos, though. I had a shop here take them from 35mm slides, and they did not turn out well at all. He told me he’d make them 6 mb, and they are only 2mb. But that’s not the real problem. They are just way off, contrasty and tin-ish, not like the slides at all. This is a great post with wonderful narrative and beautiful photos. I love how you connect your own native American roots to really all of global society. It give the Navajo rug hanging in my home even more beauty and significance as in my mind I link it to generations and peoples from completely different cultures and time. I so enjoyed this post. 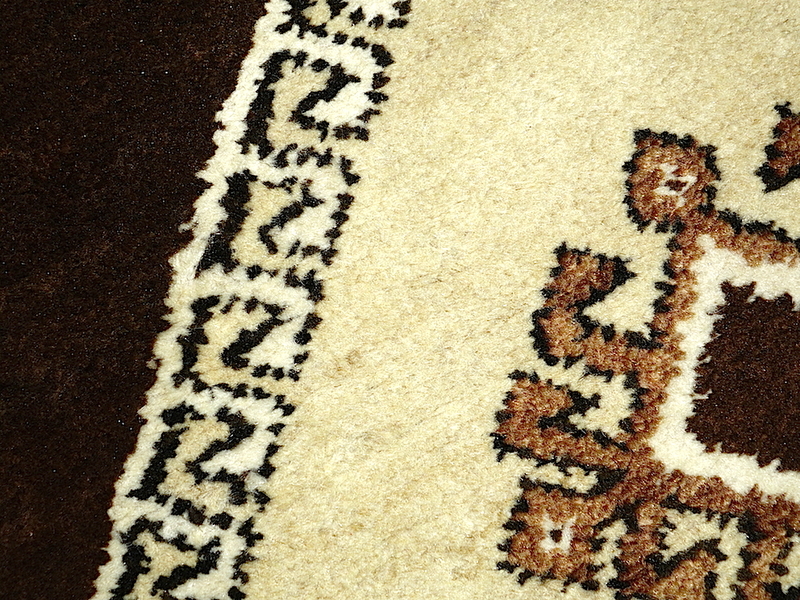 You have a Navajo carpet on your wall…how cool is that! I was going to buy one once in Arizona, but just never found the right one. And well, they were VERY expensive. A “global society” as you say…yeah, it makes me wonder who we all really are when you realize we all came from the same place ions ago. Thanks for visiting. 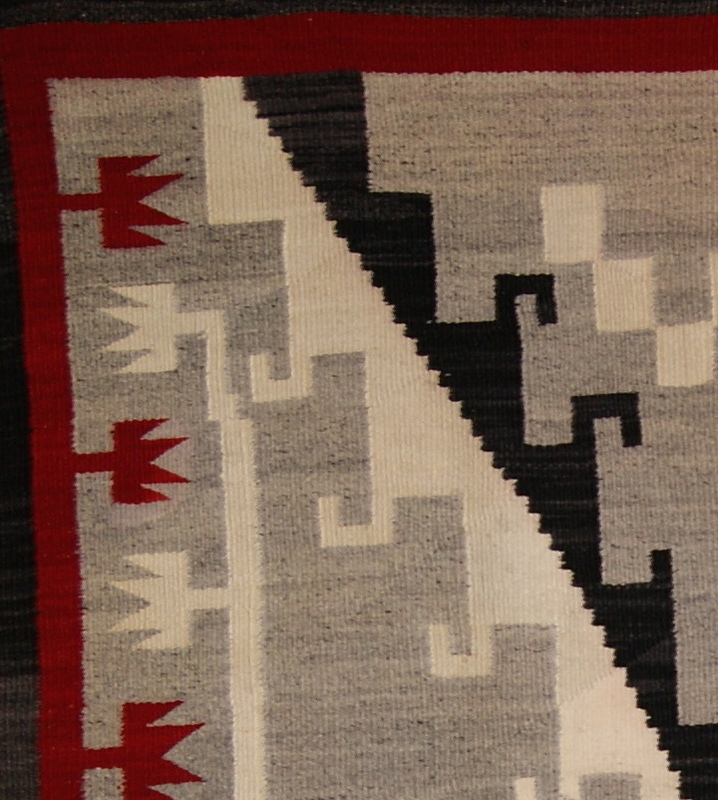 I do live in Santa Fe, New Mexico so I am surrounded by good examples of Navajo rugs. But I actually was fortunate that this rug was a gift to me when I moved in to my current home which happens to be a classic Santa Fe adobe. The person who gave it to me bought it for herself but it didn’t match her decor so she didn’t display it. I was more than happy to accept it. I included a not so good picture of it in a post I had done a while ago, if you want to look. Maybe the best things in life are free! Lucky. Yeah, I can’t see the rug to well in the photo, but still it looks like a great thing to have on your wall! I only have one carpet on my wall, a Bedouin prayer rug. Mostly browns. Firstly, I dont know why you call yourself Badfish, there is nothing bad or fishy about your blog. Secondly, Images are spectacular !! You are obviously well traveled. You write so well. Your words paints a vivid picture of what you write. Andy…thanks so much for thinking my blog is not a badfish! I have been lucky enough to travel. And I’m so glad you like my writing, glad you get images from the words. And something from the photographs. But Badfish it is! Some things you just can’t change? Your photos are beautiful and I enjoy the stories you weave around your pictures. 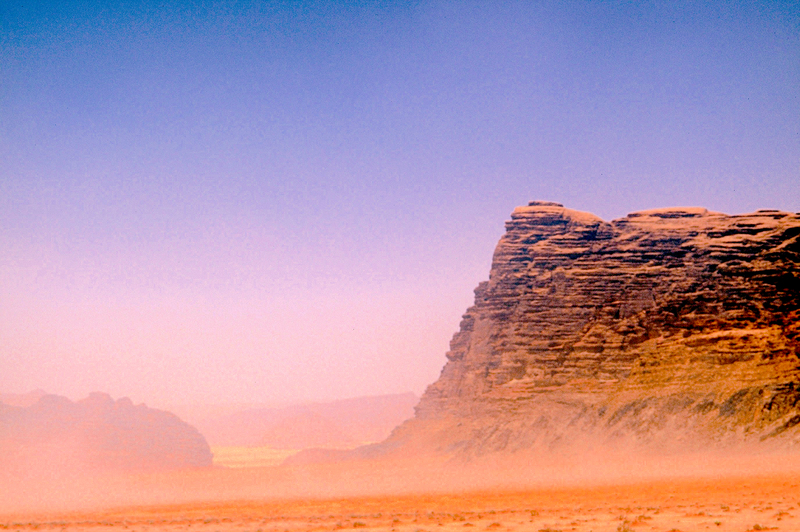 The photos from Wadi Rum really jumped out at me … I love the ‘pancake’ rock! Ha! Which one of those looks like a “pancake” to you, Joanne? Remind me never to ask you to make me breakfast, eh! Just what would bacon look like, or yogurt, dude? 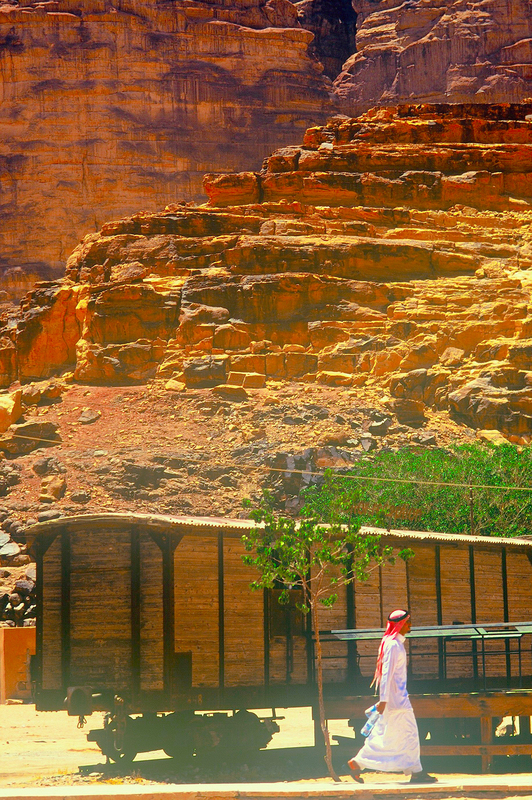 But I’m glad you liked the Wadi Rum shots because I’m not too happy with these photos (transferred digitally from slides). Oh! Well, that’s a relief because otherwise, I’m not eating breakfast with you, kiddo. Thanks, glad you stopped by to enjoy. Badfish, I don’t know why it took me this long to read your blog and hit the “follow” button. Your photos are so beautiful (love the one of the Bedouin girl) and your narrative is tight as a Navajo rug (pardon the lame comparison). You had my full attention the whole way through. It was pretty awesome how you brought together your family ancestry, those travels in Jordan, rugs and ice cream all in one post. I have so much to say about my family history. I am of Chinese heritage, but portraits of my great-grandfather (on my father’s side) suggest that he had some European ancestry. He had deep-set eyes and an aquiline nose – features which have been passed down to various members of my extended family. Then you have my sister and a cousin, who are brunettes with very pale skin. I don’t know if this is related in any way, but if I grow my beard out long enough, a few hairs turn out blond. I did two DNA tests a few years ago just to see what would come up. Both gave me a list of genetic matches to people groups around the world, and the results were pretty astonishing. One of those listed the Basques at No. 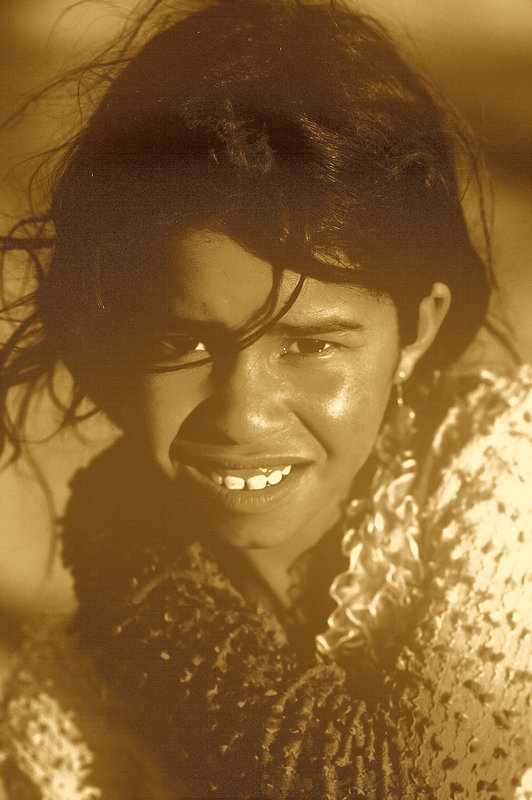 5, and the other said my DNA was an extremely close match with people in East Timor. My great-grandfather’s home village is not that far from Macau, and the Portuguese used to set up shop on a small island about 30 miles away from that village. Given that history, plus the fact that East Timor was a Portuguese colony for many years, it’s totally plausible that my family has some Portuguese genes. I visited Lisbon some time ago and felt strangely at home… maybe now I know why. James, welcome aboard. And you know, sometimes we all have to all have to wait for the exact right moment for something to happen. I’m waiting right now for the cosmos to inform me of my next travel adventure. But I’m glad you found your way here because I love reading your adventures. DNA—have you done the National Geographic Genome test? They show you the path of your ancestry. They can tell you exactly where you came from. I hate to use the word, but it is just Awesome to know this info! Your family history sounds a bit like mine, a bowl of well-spiced stew. Badfish, now that you bring it up, I haven’t actually done the Nat Geo Genome test. That would be so interesting and it might give us the most conclusive evidence for any Iberian/Portuguese ancestry. I just had a look at the website and already want to order a test kit – thanks for suggesting it! James, yeah, it is truly interesting. You can actually see the lines from where your ancestor came. Badfish all I can say is Wow! Well I will say more because I am ridiculously verbose but really, WOW! Stunning photos to start. 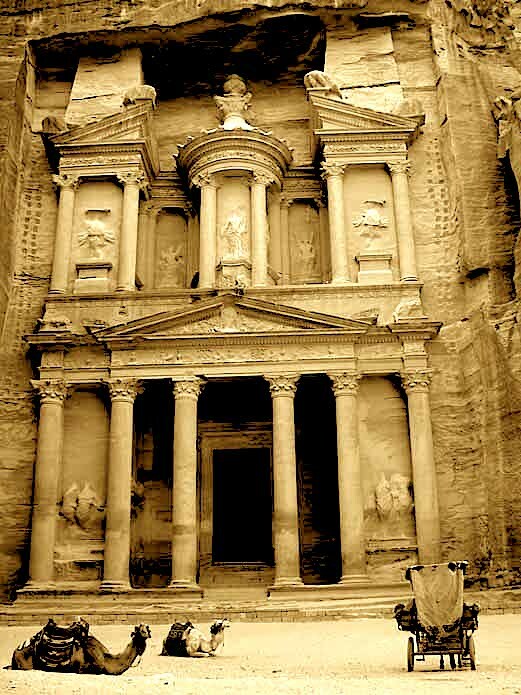 Petra is in my travel dreams. Political uncertainty has kept us from heading there. What are your thoughts on safety? Sue, as a token of my appreciation for the Wow, I grant you use of “French fried skin.” And I take it as a compliment, as I almost revised those words because I thought they might be a little…what… weird (but then, everyone says “baked”). So thanks again for stopping by with the wonderful comments. Hi Badfish-Goodfish! You take some time to write but when you do, you provide an extra large dose of of superior photography and writing. It is worth waiting for it. Learning more about your fascinating history and about who you are, is like a travel in time, space, and to the adventurous kingdom of the unusual and original. Authentic is the best word. You seem to be a very very very very fascinating person. A rare soul, not tied to the dogmas and expectations of society. I admire you, not secretly. And if you ever buy that ticket to Amsterdam, I will humbly request the honor to meet up for a coffee, to listen to your stories. I have taken part in the National Geographic Genome project and did my DNA study. Amazing. My mother’s family is Spanish and my father’s is Portuguese. Both families settled in Brazil. My DNA is the same as of 2/3 of the one found in Russia. The route of course started in Africa, going up North in Europe, crossing the Bering strait and going as far as Asia and back to Europe. What a discovery! Now I know why I like drinking vodka! Kidding. But I was happy to see this nomad behavior as although I am not a nomad like you, I love moving to new places. I always had the wish to know the whole world, to live in each place, and experience new cultures. It is a restlessness that lives with me. It is in my DNA! But I envy you for having had the courage to go. In a good way though. Let me stop here as this comment is becoming as big as a blog post. Now I know why I like drinking vodka!” Can I please use that line some time? It is absolutely hilarious!! You should use it in a post before I do! Right…the NatGeo Genome gig is truly fascinating isn’t it. I had a glitch with mine, and haven’t actually been able to read the whole thing. But I’m pretty sure I’m a pretty spicy mixture of seasonings from everywhere. And I’m so glad I found your blog because I’m so envious of the way you…well, DO everything. I’m not a “do-er,” I’m more a “wisher.” You get things done, I wish they were done. 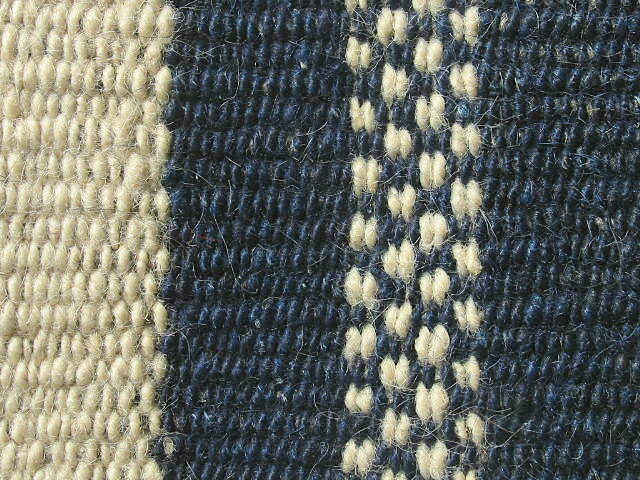 the photo of the rug at the end was such a nice wrap up photo – the macro of the weave, the rich blue, and the close up little fibers seemed to feel exactly like this post – a layered, well written story that left us with colorful snippets and clear tidbits of your life and revisiting this place after 20 years. Y. thanks so much for stopping by, and for the tome of a comment! Such encouragement. I appreciate your attention to detail and analysis. I’m happy that you actually understood the nuances. Hard to tell sometimes if I’m getting across to folks. My mind knows what’s going on, sometimes, it doesn’t play well with others. And for some reason, I too like that photo of the rug, its texture and color. thanks again. Every weekend i used to go to see this website, as iwish for enjoyment, for the reason that this this site conations truly pleasant funny stufftoo. Waneta, Welcome, and thank you so much for visiting and commenting. I hope you continue to visit and to enjoy!! Thank you so much for visiting and for commenting. Always nice to find a new friend. Welcome! !